THE WRITING BUDDHA - Opinions | Books | Movies: How I spent my hours with Dr. APJ ABDUL KALAM!!!! This week was full of mixed emotions considering the two great stories running on our television screens. First- the good news of Yakub Menon being convicted and ordered to be hanged till death irrespective of the mercy petitions filed by many in his support. Second- a bad news regarding demise of Dr. APJ Abdul Kalam. I wouldn't like to talk about Yakub Menon when I have someone to talk about whom I personally respect and consider one of my idols- Dr. APJ Abdul Kalam. He died a sudden death while delivering lecture to the students of IIM, Shillong where he used to regularly visit for teaching. Once in an interview, the great man had said that if ever I would die, I would love to have my last breathe among students while teaching them. God, up there in the sky, listens to the people who have pure and lovely soul. And that's exactly now Mr. Kalam left us. It's not every time when someone who have been associated with politics die and we cry but the death of Dr. Kalam made many of us shed our tears. I have seen 100s in my Facebook wall, 50s in my Whatsapp Favorite list changing their profile picture and giving an honour to Dr. Kalam. We lovingly call him Missile Man because of couple of great successes he gave us in the field of rocketry and aeronautics. I never dreamed to meet him because I knew I would never get this great opportunity but because I was interested in knowing about him, I had read 3 of his books back to back and I have many more in my shelf. Unfortunately, I didn't read them while he was with us but I am going to read them soon. It would be a great moment to spend few more hours with him through his words that are inked in those pages that can change my/your vision towards my/your work and country. The reason I read and review books is THIS. 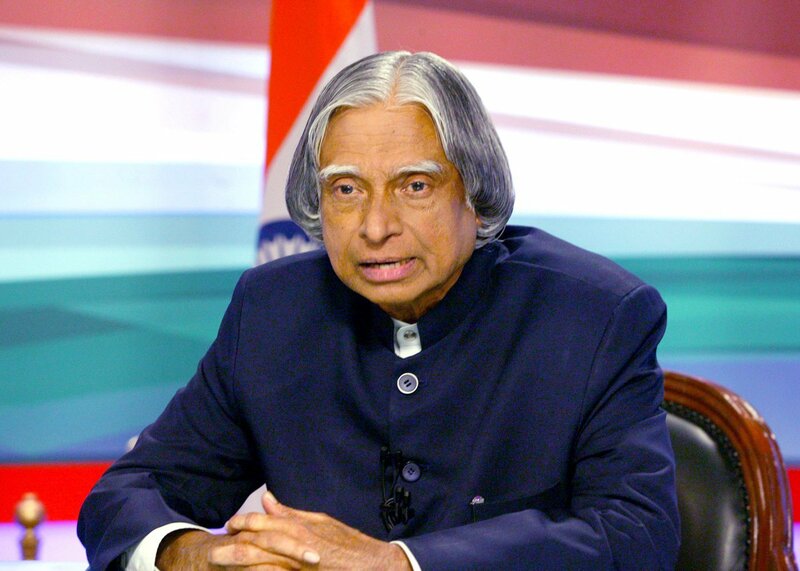 I never met him but I know what he thought about his work in rocketry and missile creations, his tenure as President and his vision about India in 2020. This has been the best alternative to experience few hours with Dr. Kalam. I still remember how he wrote in his books about his approach of taking any decision fearlessly as he didn't belong to any political party and he didn't care who would appreciate his step and who won't. He also wrote about how he digitized all the files he needed as a President so that he could access them from anywhere in the world without delaying the process. He took some decisions through this method which led to many criticism but he didn't back off. He explained how he brought e-governance in Parliament and revolutionized everything. He even gave his take on Anna Hazare's movement and told how it's not the right method of improving the nation but also ended with the conclusion that the kind of work government is doing, this is the only method. Haha! I remember him describing about sudden death of any of his family members every time he came near to a big success in his life and therefore, couldn't celebrate the same. The struggle that he went through taught me a lot and made me understand that when you work, you shouldn't think about your home and family. He also shared his love for the Rashtrapati Bhavan immensely in his book. It showed how much he adored and enjoyed his tenure as President of India. This teaches us to appreciate all the privileges we get with our position. Dr. APJ Abdul Kalam have taught us so many things through his books, interviews, speeches and articles that we can transform ourselves and our nation with his ideas. If only we give importance to his real work rather than following some fake quotes being shared on several Social networking sites. I want every one reading this post to order any three of his books and read them daily until they do not finish them. You will find a change in your attitude right from the moment you would have ended reading the first page of the first book that you would have picked up. That's the magic in his story telling power. He could have stayed with us for more 25 years easily but God wanted him above to manage his own world. We will always miss you, sir. Thanks for leaving us with plethora of knowledge which will always keep you alive in our hearts. Respect! Salute!